The black Solitaire 1-Cell AAA Incandescent Flashlight from Maglite is a compact, lightweight, and durable illumination tool with an adjustable beam that goes from a wide flood to a tight spotlight with a simple twist of its head. 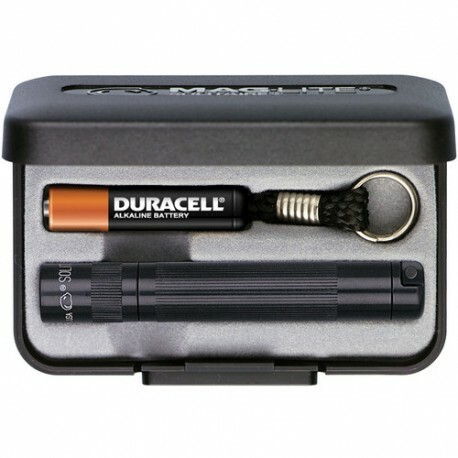 Powered by a single included AAA battery, it produces a single 2 lumen output that is ideal for reading or searching under seats or in drawers. Constructed out of an anodized aluminum alloy, the Solitaire is corrosion resistant, impact resistant, and weather resistant. 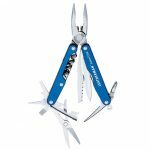 Weighing only 0.8 oz it is the perfect size to carry with you and comes with a key lead and presentation box. With the dependability of the Solitaire on your keys, you never have to be without light again. 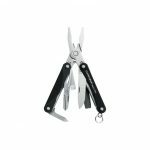 The Leatherman Juice Cs4 is our second largest Juice model, and just like its bigger brother, it’s the perfect size for a purse, pocket, glove- or tackle-box. 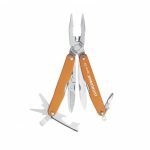 Smaller hands will appreciate all the same power and features as other full-size multi-tools, with handles sculpted just for them. 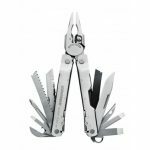 The colorful Juice Cs4 might just make the “junk” drawer into the “I-don’t-need-anything-but-my-Leatherman-in-here” drawer.